Our Quality Compatible Printer Cartridges. Our house brand of quality compatible printer cartridges are manufactured with high quality components by qualified technicians using the latest and best technology available. All our generic cartridges are 100% guaranteed and replaced immediately in the unlikely event of malfunction. Important: Our quality cartridges are NOT refills – we sell COMPATIBLE cartridges which are brand new, whereas ink and toner refills are only filled up with the used components still in the cartridge. All the components in our cartridges are brand new. To learn more about our compatible printer cartridges you can visit our compatible toner cartridges page. Contrary to what some believe, there is nothing wrong with refilling your used ink or printer cartridge. The problem though is that one should use a cartridge refilling company with experience. At CTEC our technicians are professionals. 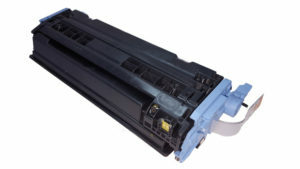 Toner cartridges cannot be refilled indefinitely, because their mechanical parts (such as drums and rollers) eventually wear out and an electro-optical device (the drum) become depleted or scratched. At CTEC our technician will clean and test your empty cartridge to ensure that it is fit for re-use. Refilling toner cartridges is a tricky business. A further complication is that some models of laser print engines, like most inkjet printers, communicate with “chips” or fuses inside the toner cartridge which indicate that the cartridge is exhausted, whether or not it actually is. The owner of the business has 18 years of experience in the printer industry. We know exactly which toner cartridges can easily be refilled and which toners are not feasible for refilling. Our main focus is on our compatible printer cartridges , but we acknowledge that some customers would like to use the Original Equipment Manufacturer printer cartridges in certain circumstances. As we advertise ourselves as providing a all in one solution, we can also provide OEM printer cartridges. We guarantee that all our generic cartridges will produce the same page yield as original cartridges would. We know that you need to get the invoices, quotes and other important documents out timeously and that there is no time to waste when a customer or potential customer is doing business with your enterprise. Therefore, we guarantee that our compatible cartridges will work every time, anytime, thus increasing your business’ efficiency and competitiveness. To save costs in a business can sometimes be risky. By cutting back on costs, usually means cutting back on quality. When it comes to printing important documents that represents your enterprise, there is no room for compromise. That’s why we go the full length to ensure that our cartridges print what they need to print, the way it was intended to be printed. We guarantee that our cartridges comply to printer manufacturer’s standards and will in no way harm or damage your printer.